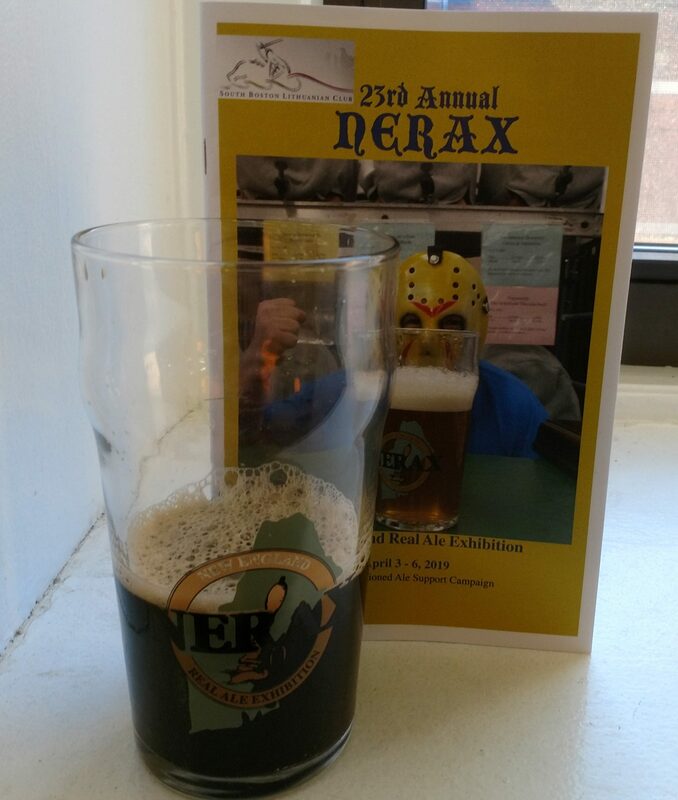 Yesterday I had the joy of attending the opening night of the NERAX 2016 festival in South Boston. 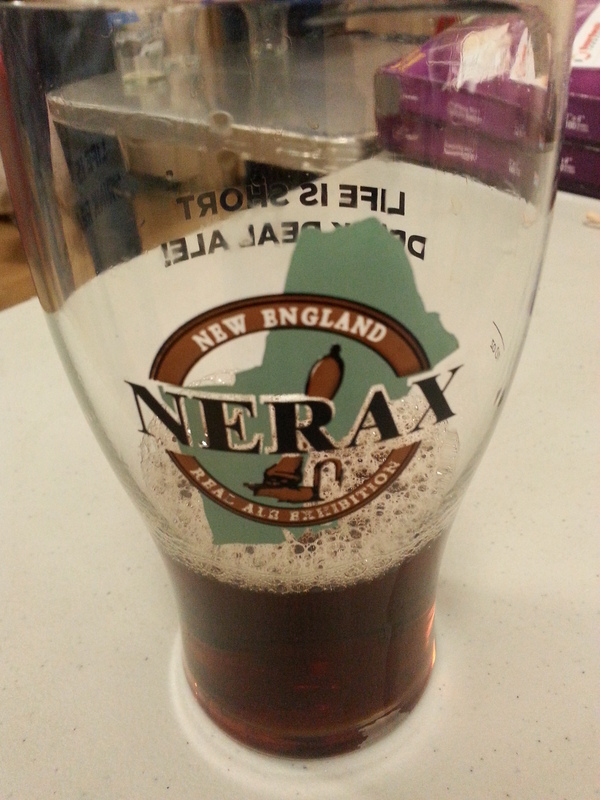 For those who may not know, NERAX is short for New England Real Ale eXhibition, and their mission for the last 20 years has been to provide the New England states with quality cask ale. If you’ve ever been to a bar or brewery in the region and enjoyed a cask offering, chances are you have them to thank for it. As for the festival itself, it is running from Wednesday, April 6 through Saturday, April 9 at the South Boston Lithuanian Club (an easy half mile walk from the Red Line’s Broadway stop). Scheduled to feature over 100 firkins of real ale and ciders over the course of the next few days, the event is a grand celebration of cask beer showcasing a variety of the region’s favorite breweries alongside several others coming all the way from England, Scotland, and Wales. Before getting into the brews, it is worth noting how this festival was a refreshing departure from others that I have attended. For starters, it was a lot smaller. The venue was a large function room/auditorium with a long serving counter at one end and a merch table at the other. The crowd was fortunately much smaller that I’ve grown accustomed to as well, probably no more 150 or so people in there at any given time (forgive me, I’m terrible at estimating crowds). This gave the event a much more relaxed and intimate feeling than the larger Beer Advocate and Craft Beer Summit festivals I’ve attended previously. I heard they get more people and open up some additional space for the weekend sessions, but on my particular night I dare say that I had personal space in which to drink and reflect upon my beer. The pricing model was also quite different from my past experiences. Tickets are $5 (online or at the door) for all but the Friday session and another $5 deposit gets you an actual glass for the evening to either keep or return for your money back. From there you pay as you consume, with different serving sizes available. You can get the full breakdown of the costs here on their website. Be warned that it is cash only. As for the beer, there was something for everyone. You name the style and they likely had a cask of it; English Milds, Pale Ales, IPAs, Brown Ales, Stouts, and even a Gose or two. On the whole the beers tended to skew towards lower ABV offerings (mainly in the 4 – 5.5% range), though there were a few larger ones lurking out there as well. I had my share of samples and came across a variety of great brews. While availability will vary from night-to-night, I do have a few standouts I’d like to mention to help give a sense of what they had to offer. Hill Farmstead – Edward (dry-hopped with Newport): The highly regarded Vermont brewery was serving up a cask of their 5.2% pale ale dry-hopped with Newport hops. Juicy with a refreshing hop finish, this beer was every bit as good as its reputation. 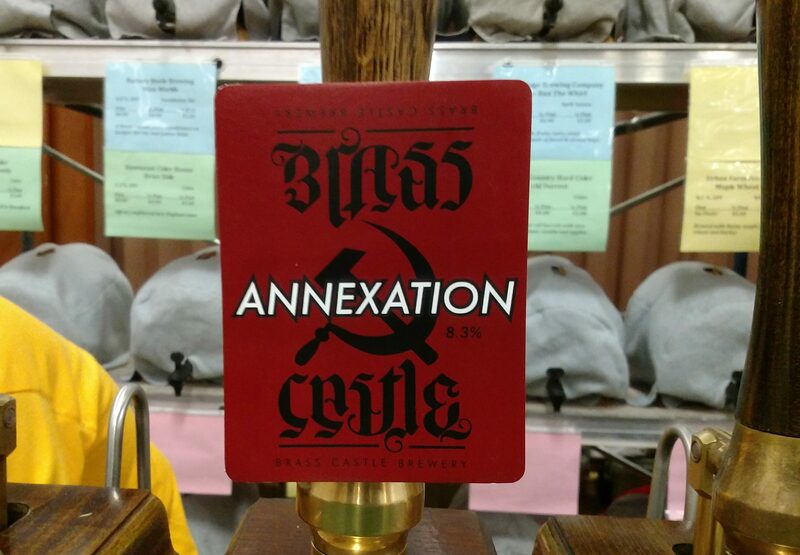 A real treat to have on cask. Beer’d Brewing – Hobbit Juice: This 9.2% DIPA from Connecticut was one of the biggest beers pouring last night and also one of the tastiest. The beer fared really well on cask, with its abundant hops still standing out atop a smooth malty base sweetened by the addition of fresh raspberries to the cask. Four Quarters Brewing – French Toast Bear: A 6.0% brown ale by another fine Vermont brewery, this one tasted almost exactly like Cinnamon Toast Crunch. I suppose that makes a lot of sense given this was created by conditioning their regular brown ale with cinnamon sticks, vanilla beans, and maple syrup. I could see this getting a bit cloying in large amounts, but my quarter pint sample was sweet delicious breakfast in a glass. Oast House Brewery – Aber-Dabba-Doo: I took a chance on this offering from a Welsh brewery I’d never heard of based off of the name alone. What I got was an excellent 4.2% amber ale. With mild notes of caramel malt and a lightly floral hop finish, I thought this was perfectly suited to cask format. Monty’s Brewery – Dark Secret: Out of solidarity with my wife there was no way I could pass up a gluten-free cask beer, especially if it happened to be a stout. Easily one of the best gluten-free beers I’ve ever had, not to mention pretty good in its own right. At 5.5%, it went down nice and smooth with a subtle roasted malt character. 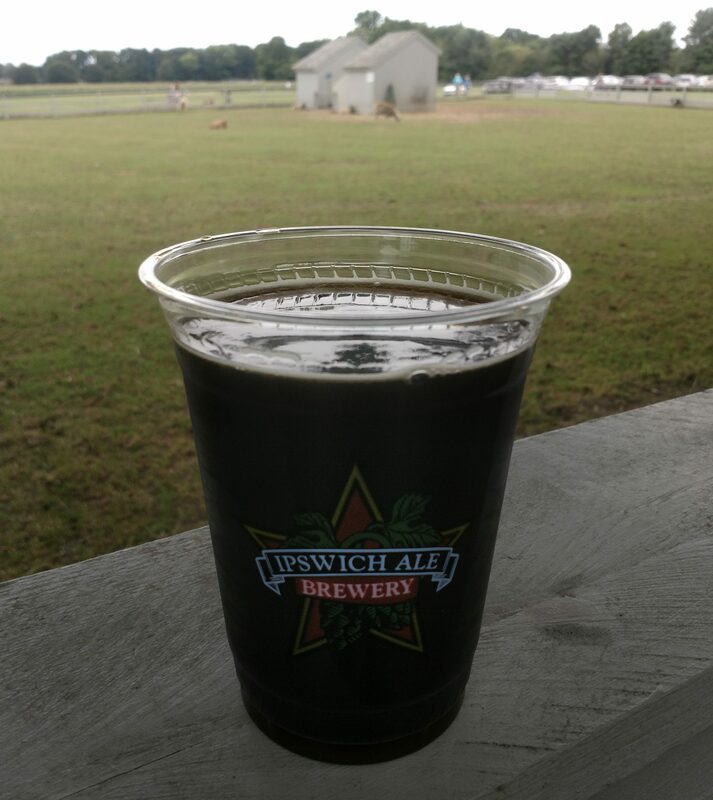 Spencer Trappist Brewery – Abbey Brown: Coming from Massachusetts’ own Trappist brewery, this was my first time having a Belgian-style beer on cask. It definitely suited this one well, giving it a nice smooth sweet and roasty taste combined with a perfect mouthfeel. I would highly recommend this event to any beer enthusiasts in the Boston area this weekend. Fans of cask beer shouldn’t miss this, and anyone curious to try it out can get no better introduction. The festival offered plenty of great beer, including some one of a kind creations, and an atmosphere that is hard to come by at beer events these days. The catering by Redbones BBQ was a pretty nice touch as well. Beer, Beer Review, Boston, Cascade Brewing Barrel House, EBF, Extreme Beer Fest, Funky Buddha Brewery, Jackie O's Pub & Brewery, Kane Brewing Company, Long Trail Brewing Company, Massachusetts, NERAX, Night Shift Brewing, Other Half Brewing Co., Otter Creek Brewing, The Rare Barrel, Tree House Brewing Co.
Last weekend, Boston once again played host to Beer Advocate’s Extreme Beer Festival where some of the country’s best and most innovative breweries come to showcase their talents. 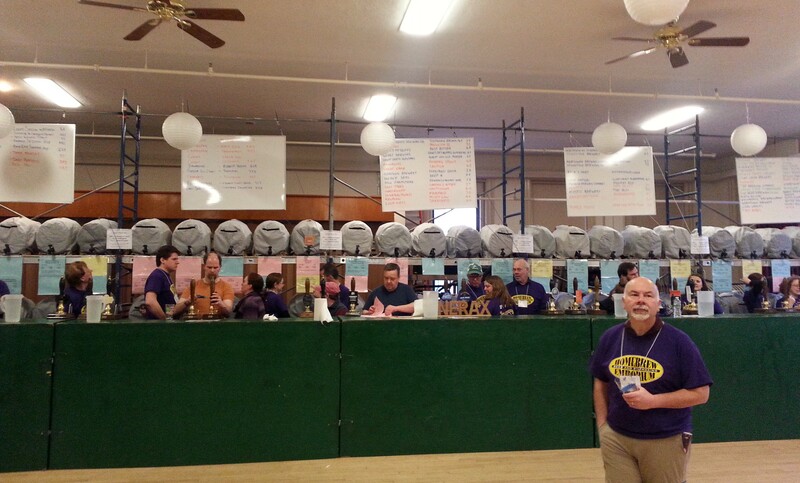 This year’s event was certainly no exception and there was plenty of great beer to be had. The trend this year seemed to be Wild Ales, which after last year’s gauntlet of barrel aged stouts was a nice change of pace and certainly made for a faster recovery the day after. While Science and beer historians will have to excuse my lack of detailed notes, there were a few standouts for me that deserve mention. 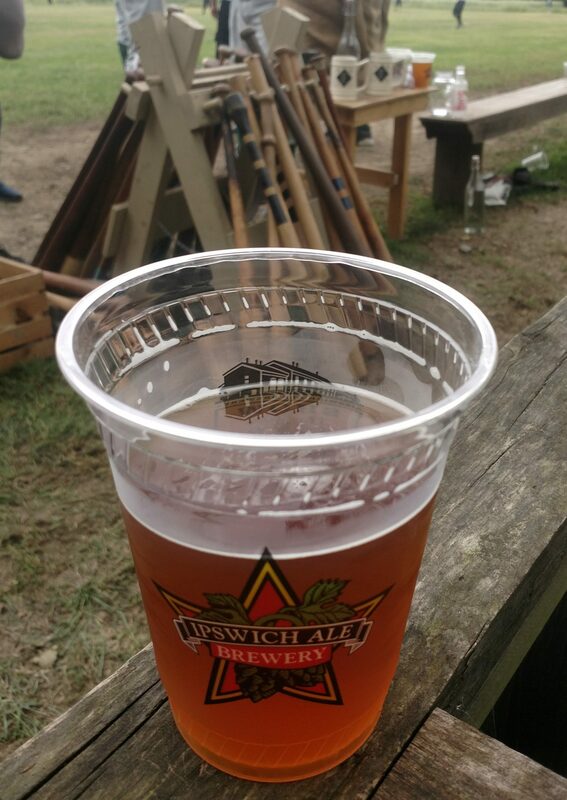 Other Half – All Green Everything: My first beer of the festival and also one of the most amazing. It beat out even my first taste of Surly Abrasive as my favorite DIPA of the fest. Fantastic blend of citrusy and piney hops made this one really shine. Tree House – Good Morning: An awesome Imperial Stout that would be quite the way to start a morning. Thick bodied with tons of coffee, cocoa, and a hint of maple syrup. First sip instantly dispelled any disappointment that Tree House didn’t have one of their IPAs available. Well worth waiting in one of the longer lines for. Kane – A Night to End All Dawns: Another big Imperial Stout. Bourbon barrel goodness at its best. Jackie O’s – Cucumber Ginger Berliner Weiss: Picked this on a recommendation and was very glad I did. I generally haven’t liked the cucumber beers I’d come across before but this one is definitely an exception. The cucumbers are a nice mellow presence up against the initial tartness and the ginger blends in quite well into the background. Cascade – Cherry Bourbonic Plague: Really tart Wild Ale with lot of cherry. Could have used a bit more of this one to really appreciate everything going on in the beer. Funky Buddha: We braved one of the longest lines of the fest and were well rewarded for doing so. Thanks to the good folks pouring at the booth and the event volunteer staff, things moved along rather quickly and efficiently. We coordinated our samples to try French Toast (Brown Ale), Key Lime Berliner, and No Crusts (a PB&J inspired Brown Ale). Each beer smelled and tasted right in line with the food that inspired them and they were really cool to try. Rare Barrel: This brewery stole the show for me. Went through their modest line 4 times to try each of the Wild Ales they were pouring, Map of the Sun, Apropos of Nothing, Forces Unseen, and Ensorcelled. Each was quite good and having them all at the same table was outstanding. If forced to pick just one, I would say my favorite was the raspberry aged Ensorcelled but there wasn’t a bad choice to be made at that booth. 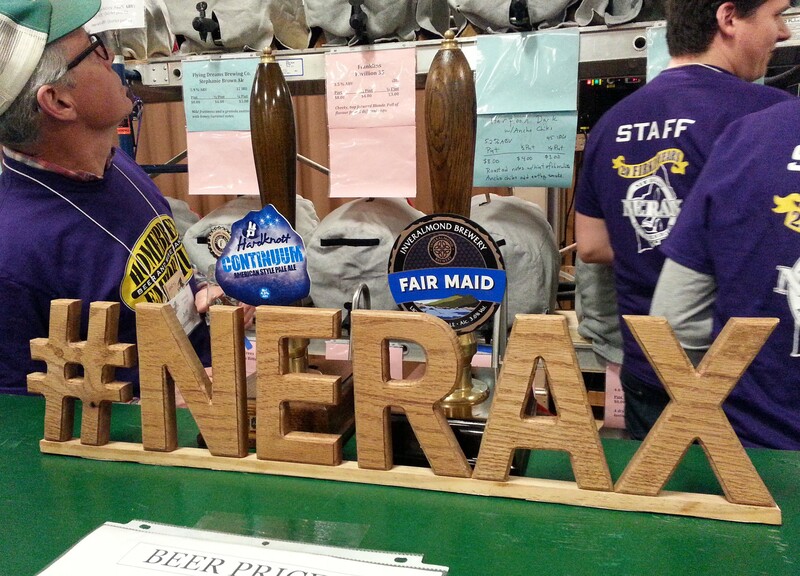 NERAX: The NERAX cask beer table was a highlight again for me this year. Night Shift’s SoPool, a sour blend of their Whirlpool Pale Ale and Ithaca’s Flower Power IPA with grapefruit and dry hopped with Citra and Apollo were both excellent. Aeronaut’s Bonsoir Quad was also good, though not quite in the same standing as the first two. Otter Creek/Long Trail: Since casks have been a pretty big part of my beer experiences this year, I should also mention the three available at the booth shared by the festival’s Vermont contingent, Otter Creek and Long Trail. Otter Creek offered Sunshine Daydream, a festival exclusive cask of their Fresh Slice IPA aged on grapefruit, and Chem Dawg IPA, dry hopped with Simcoe, Citra and Cascade. On the Long Trail side, their Chateugay Moonshine Bandit Barley Wine cask was also quite interesting. Very sweet upfront and aged with spruce tips and oak, this was a very well made beer.